With each day, current events grow progressively more and more absurd. Over the last month, Trump struggled with NFL protests while on the brink of war with North Korea, Americans obsessed over their recurring fascination with murderous clowns in the adaptation of Stephen King’s It, and the Internet went insane at the prospect of Kim, Kylie, and Khloé Kardashian all being pregnant. With no correlation between any of these events and no suggestion of what may happen next, our normal expectations of life seem increasingly less likely to come to fruition. It makes more sense to simply embrace the weirdness as it comes. Recently, this weirdness arrived in the form of Balenciaga four-inch platform Crocs. Balenciaga took the notion of absurdity to the extreme, turning the bizarre strangeness of life into art at its 2018 spring/summer fashion show. Near the end of the show, a slight gasp could be heard. Walking down the runway came a model wearing four-inch platform Crocs, decked out with Jibbitz (for those of you less fashion-savvy readers, Jibbitz are the little decorative pieces of rubber that can be placed in the holes of Crocs). 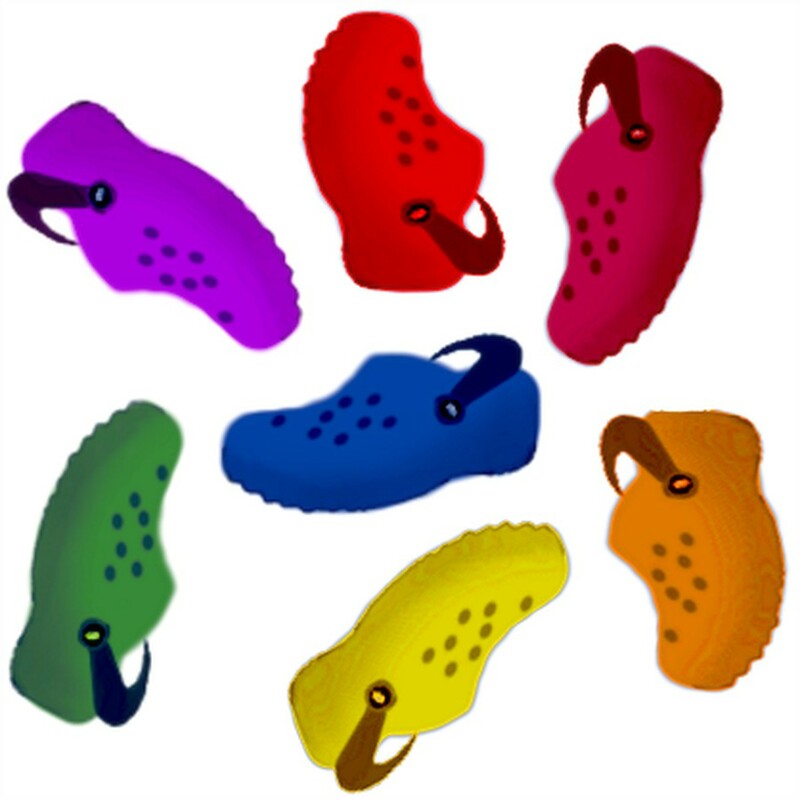 The last few models followed, and each of them sported a different colored pair of platform Crocs. In a world where we regularly experience the absurd, whether it is through the omnipresent meme culture or our divisive modern politics, it somehow makes sense that Crocs earned themselves a seat at the table of high fashion. If you had asked me 10 years ago what I thought about Crocs, I would have said Crocs were a colorful and comfortable alternative to regular shoes, and you might have caught me rocking a pair at Sunday mass. If you had asked me five years ago what I thought about Crocs, I would have audibly gagged in disgust. However, my stance on Crocs has now become far more nuanced. Crocs occupy an ambiguous fashion gray zone—while their foam structure looks awkward, Crocs are incredibly comfortable to wear. It seems unfair to label Crocs with the highly subjective term of “ugly,” but their clunkiness could hardly be described as “visually pleasing” in any sense. So why is it permissible to redesign these utility clogs and place them in the domain of high fashion? As our world grows increasingly strange, our fashion has to follow suit. It seems that the absurd has become the norm. While I watched Balenciaga’s models walk the runway in platform Crocs, I began to question how my own life became so surreally strange. I’ve now accidentally been to four Vance Joy concerts. I’m taking a class on the public and private lives of insects, because somehow bugs are essential to my core education. I still have a pair of periwinkle Crocs back home from my early experiments with fashion. Why did I hold onto a pair of periwinkle Crocs? No, I did not anticipate Balenciaga’s daring display. Rather, I too quietly normalized the increasingly absurd things that are becoming more and more routine; a part of me knew owning periwinkle Crocs was no big deal. Avocados are now less than $1.50 at Whole Foods, and Anna Faris and Chris Pratt are now separated. Sure, one could provide reasons for these events, but it’s evident that general human existence is progressing illogically and unpredictably. So, what does it mean to live in a world of Balenciaga platform Crocs? It means we live in an absurdist world. Every day I try to plan for the future, hoping to anticipate the best and worst possibilities. It’s not working out too well. So for me, Balenciaga platform Crocs were a wake-up call. Living in a high-pressure, high-stress environment means it’s time for me to accept absurdity for what it is, put on my own metaphorical pair of Balenciaga platform Crocs so I that can finally embrace the weirdness of our world, and turn it into something radically unique. Fred Kardos is a second-year in the College.